New Zealand Avocado has entered the race to host the 2023 World Avocado Congress (WAC). Members of the peak industry body will present their bid when they attend this year’s version of the event in Columbia this September. Held every four years, WAC would bring over 2,000 leaders from the avocado sector to New Zealand shores, including growers, researchers, marketers, tech innovators and investors. 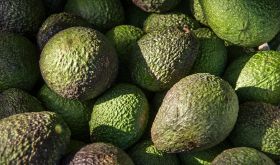 “The New Zealand Avocado industry has experienced real growth with excellent returns resulting in significant new investment into the industry. This is our chance to showcase the industry and celebrate avocados here in New Zealand, said Jen Scoular, chief executive of New Zealand Avocado. The conference provides an opportunity for growers and industry professionals to hear about and discuss the changing global avocado landscape. Tony Ponder, chair of New Zealand Avocado, said the local industry would benefit immensely from hosting the event. “It is a terrific opportunity for our own growers to attend a world event, network with some of the largest producers in the world and learn first-hand about current and emerging innovation and technology,” Ponder explained. The bid has the backing of Tourism New Zealand. If successful, this will be the first time New Zealand has hosted the event.